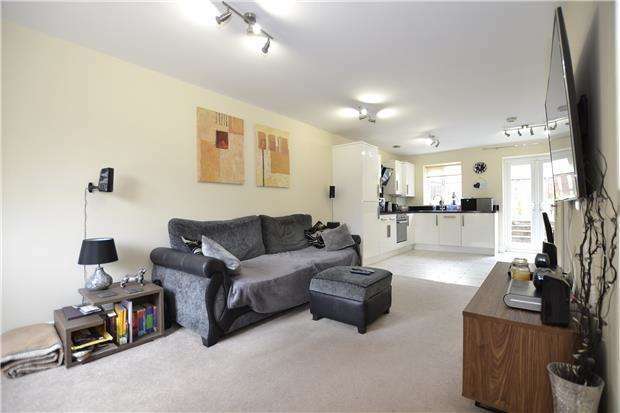 The Weston Court development was constructed in 2015 and this three bedroom townhouse is a stunning example that has been extremely well kept by its proud owners. On entering the property through the hallway is the living space to the front with fitted kitchen, and dining area to the rear. 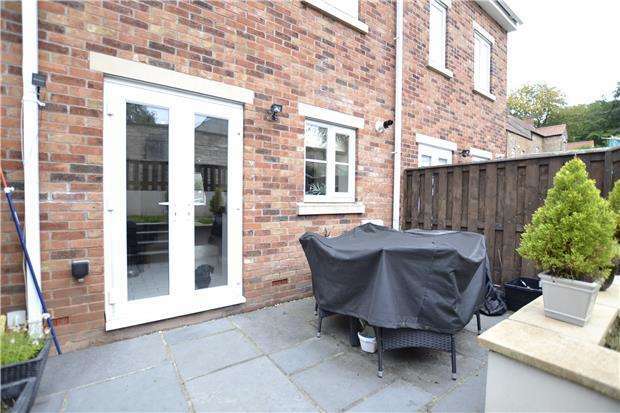 There are double doors leading to a lovely enclosed south-west facing rear garden measuring 18'9 x 15'2. Also on the ground floor is a WC. 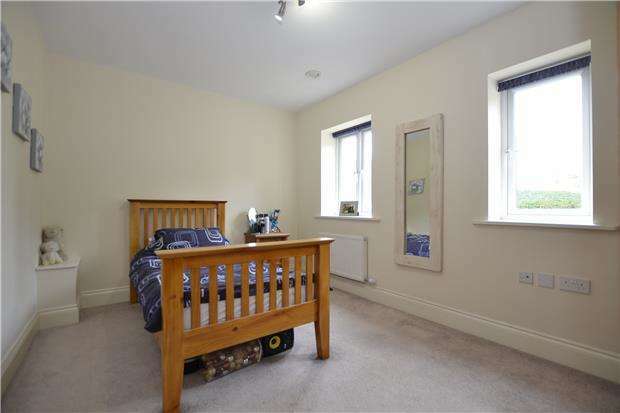 On the first floor there are two bedrooms and family bathroom. 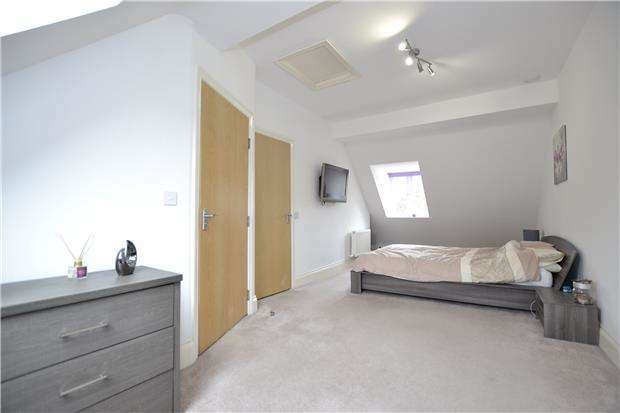 On the top floor is the generously proportioned master bedroom complete with en suite shower room. The property further benefits from an allocated parking space. Residents enjoy a number of local benefits; local schools, travel links and delightful green space are all found within 1.3 miles. 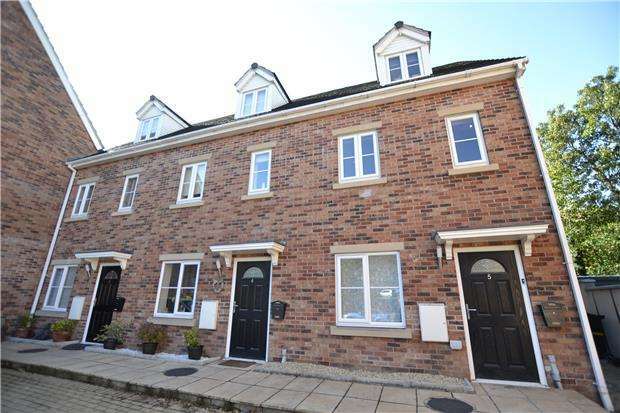 Combining a beautifully semi-rural escape with excellent access to travel links in to and out of Bristol, this three bedroom townhouse could be your ideal next home. Low level w.c., hand basin, part tiled walls. 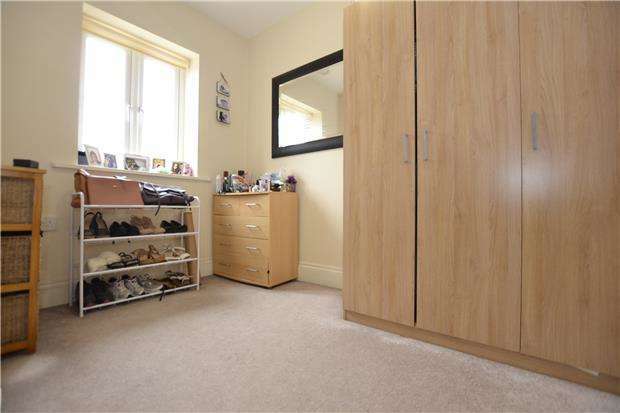 Double glazed window, TV point, phone point, radiator. Double glazed window, single drainer single bowl inset sink unit, range of base and wall units, cupboards and drawers, laminate worktops. 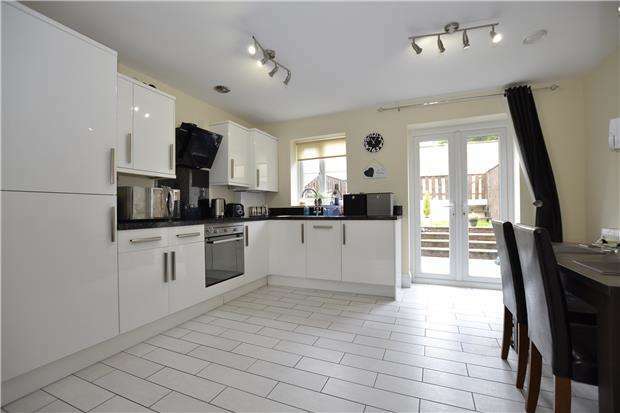 Inset electric hob, cooker hood, fitted electric oven, fitted fridge/freezer, gas combi boiler, radiator, door to garden. Two double glazed skylight windows, radiator. 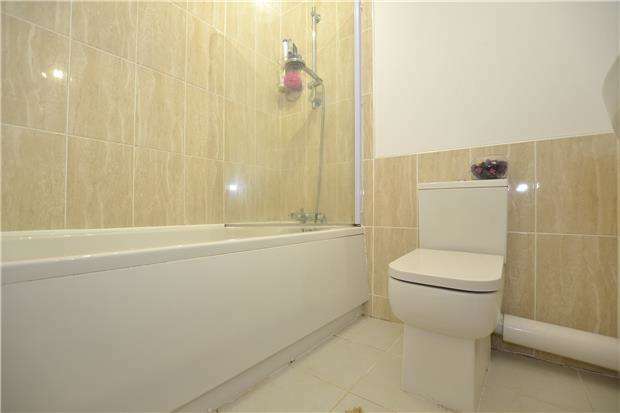 Low level w.c., shower cubicle, hand basin, part tiled walls, heated towel rail. Two double glazed windows, phone point, TV point, radiator. 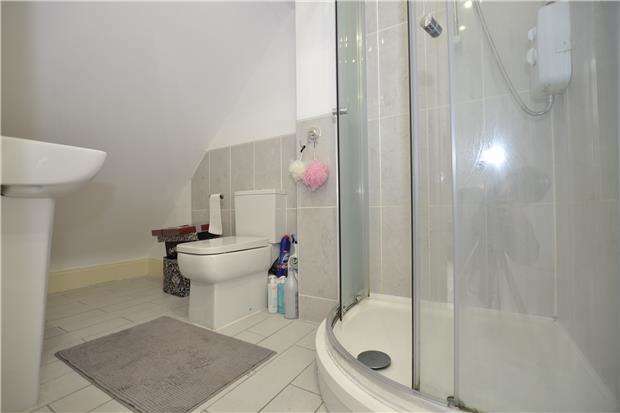 Panelled bath with shower over, hand basin, low level w.c., heated towel rail, part tiled walls. 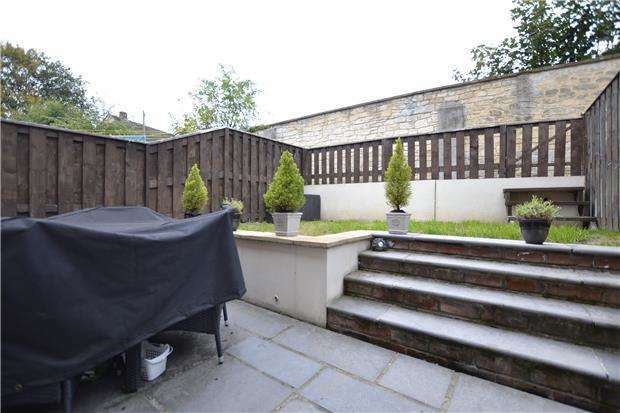 Fences to sides and rear, lawn area, patio area, tap, external light, gated rear access. Disclaimer Property reference 4547_338277. Details are provided and maintained by Andrews. Nethouseprices.com makes no warranty as to the accuracy or completeness of aforementioned details.